Northern is nestled in the hills of sandy, west central Wisconsin making it a lovely spot for growing both firs and pine Christmas trees. We’re a solid 4a zoned climate, making our trees and shrubs among the toughest around in the nursery industry. We offer a wide selection of potted fruit, ornamental and shade trees plus shrubs, roses, evergreens, peonies, small fruits and a selection of topiary. Give us a call or visit our website for more information! WWIS Radio Inc includes 2 broadcast radio stations headquartered in Black River Falls. WWIS-AM 1260 features Adult Contemporary music from the 60’s through today. 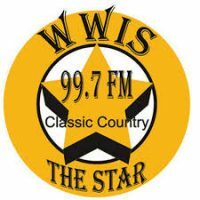 WWIS-FM 99.7 features Classic Country music along with local sports, Milwaukee Brewers, Wisconsin Badgers, the Buyline and Radio Shop. Both stations are available on stream on our website. 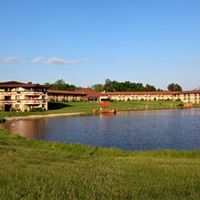 Ho-Chunk Gaming Black River Falls is nestled in the beautiful Jackson County Forest near Black River Falls, Wisconsin. This modern facility offers the very best in gaming with over 600 reel and video slot machines; six blackjack tables; one 3 card poker table; one Ultimate Texas Hold’em table; one Roulette table and a 500-seat bingo hall. Ho-Chunk Gaming Black River Falls is sure to have the game for you. The hotel rooms are newly renovated! It’s all about ownership at CCU. Being a member-owner entitles you to higher earnings on your savings, lower rates when it’s time to borrow, and lower fees. Look to us for low-cost checking, 1st mortgages, home equity loans, land loans, anytime online account access, online bill payment, and more! Co-op Credit Union is conveniently located in Black River Falls, Fall Creek, Galesville, Melrose, Onalaska and Strum. We are a mixed animal veterinary practice. We have 1 veterinarian who focuses only on companion animal care and two veterinarians who provide both companion and livestock animal care. We offer variety of services including preventative care, wellness exam, diagnostic and care for sick animals and veterinary spinal manipulative therapy. We are proud to be your hometown veterinary clinic and pride ourselves with personal care that we continue to expand on. We are available as needed for after hour emergencies. Miller’s Antiques is guaranteed to be one of the most interesting antique stores in Wisconsin. Specializing in advertising signs and unusual antiques of all kinds! The Gross Motors Automotive Group has been serving Central Wisconsin’s automotive needs since 1956. We continue to be GM’s number one ranked dealer per their rankings in the state of Wisconsin. Our Business continues to grow on the foundations of trust, good service, and great prices. Safety organization hosting several safety training events, OSHA update seminar, defensive driving class and safety camp for kids. 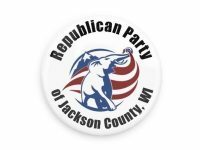 The Republican Party of Jackson County is committed to improving the life of Jackson County Citizens through the election of knowledgeable, conservative representatives who possess impeccable integrity and are dedicated to protecting life, defending liberty, and upholding the United States Constitution at all levels of public office. 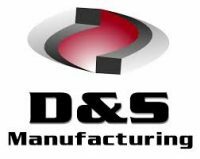 D&S Manufacturing is a full-service plate metal fabrication supplier offering a complete range of services including cutting, forming, machining, welding, painting and assembly. experience possible when buying their new floor. working with many individual needs. participates in assuring you are satisfied with your choice of flooring. 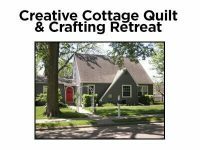 Creative Cottage is a retreat house set up for quilting, scrap-booking, crafting, girlfriend getaways and family reunions. Sleeps 9-10. Fully stocked kitchen, workroom, 2 full baths, living room, kitchen patio with dining set. Minimum 2 night stay. No smoking or pets. Call for more information! The AmericInn Black River Falls hotel is conveniently located on Highway 54 off Interstate 94. If you are an outdoor enthusiast, there is plenty for you to do near our Black River Falls hotel. Enjoy the scenic beauty of Black River State Forest as you hike, bike, fish or swim. Take your ATV or snowmobile out on the trails in Jackson County Forest. If you love golf, tee off while you enjoy the scenery from the polished greens of the Skyline Golf Club. Take a drive out to Castle Mound State Park or Lake Arbutus. Explore the beautiful Wazee Lake, recognized as the deepest inland lake in the State of Wisconsin with a maximum depth of 355 feet. 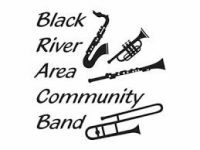 The Black River Area Community Band is an all-volunteer band, providing adult musicians within the Black River Falls area a means of continuing their musical education and enjoyment of concert music. 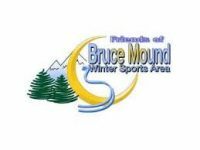 We sponsor the Concert in the Park series at the Lunda Community Park Bandshell, and usually give three concerts each season, in addition to performing at many other festivals and parades throughout the year. Our two major fundraising events are the Holiday POPS concert, held each year the Sunday after Thanksgiving, and the Spring Fling, held every April or May. 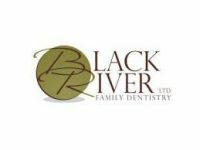 Black River Family Dentistry specializes in beautifying smiles, maintaining your dental health, and helping you improve your appearance. Our experienced and friendly staff takes great pride in keeping your smile beautiful. Our promise to you is that the veneers, fillings, crowns, and bridges we create will look as good as or better than the teeth nature gave you. And to make sure we keep that promise, the products we recommend and use are the highest quality and incredibly durable. County Campground. On the western shore of Lake Arbutus, this park is heavily used for motorized water recreation, including motor boating, water skiing and jet skiing. 45 campsites, firewood, ice, drinking water, boating, hiking, playground. Fee or park sticker required. Amenities: Fishing, Picnic, Toilets, Swim, Showers. The Brand new Kwik Trip store located at 15 County Hwy A in Black River Falls, WI opens on October 19, 2017. It is a trucker friendly c-store. It is open 24 hours a day, seven days a week to serve the Black River Falls area. Kwik Trip combines bright clean decor and a strong private label program with competitive Kwik n Low pricing to create a unique identity in the convenience store industry. Kwik Trip offers unleaded and diesel fuel that carries the Top Tier label because of the highest industry standards. Our customers also enjoy the benefit of Kwik Trip’s famous No Fee ATMs. Customers will enjoy Kwik Trip’s Karuba Coffee Bar, featuring coffee house flavored coffee, cappuccino and hot chocolate. For the person on the go, Kwik Trip offers the Hot Spot filled with freshly baked breakfast sandwiches, cheeseburgers, CheeseMountain pizza, corn dogs and fresh breadsticks. Kwik Trip is also available to take your pizza orders over the phone and have your individual request ready when you arrive. Fresh fruit, salads, and a large assortment of sandwiches are only a few of the offerings in the Kwik Trip fresh case. Kwik Trip Stores, Inc. is a convenience store company unlike any other. Kwik Trip not only serves our customers with convenient, clean, bright retail centers, but also produces many of the private label products featured in our stores. Kwik Trip’s La Crosse, Wisconsin based headquarters, operates its own commissary, bakery, and dairy. All three facilities are FDA approved and produces Kwik Trip’s own line of sandwiches, soups, fresh Kwikery bakery products including white, wheat bread and buns, muffins, donuts, cookies and bagels, as well as the Nature’s Touch brand of dairy products, Milk-in-the-Bag, ice cream, and waters. 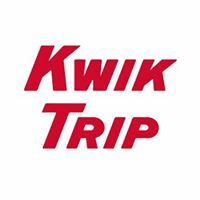 Kwik Trip also maintains its own distribution center and fleet under the Convenience Transportation name. Being the producer, Kwik Trip sets the standards and quality of the products that will be sold in our stores. Kwik Trip’s state of the art food safety lab assures our customers that the food we offer is of the highest quality. Being the distributor, means these products are shipped to your local Kwik Trip stores daily, which helps us to guarantee their freshness. Being the producer and distributor also enables Kwik Trip to price our private label brand products lower than the grocery stores. This pricing philosophy we call Kwik n Low prices – prices as low or lower than the grocery store every day. River Haven Salon & Spa is located on Main Street in downtown Black River Falls, WI. We are a full service salon & spa exclusively offering Aveda products & services. River Haven will provide you with a tranquil & relaxing experience and serve as a get-a-way from the routines of daily life. SureStay Plus Hotel offers 141 standard guest rooms and suites with the option of upgrading to a suite containing a cozy fireplace, or relaxing whirlpool, and a beautiful view of the boardwalk. All rooms come standard with a refrigerator, microwave, iron and board, hair dryer, and single cup coffee maker. Enjoy a relaxing dinner in our on-site restaurant the Orange Moose Bar and Grill, with a wide variety of menu items and a full service lounge. Your stay includes a hot breakfast buffet from 6:00am to 9:30am daily, our indoor pool and fitness area as well as free hi-speed wireless Internet access. We offer banquet and meeting space for up to 150 people, as well as off site catering services. All of this, located conveniently on the beautiful ATV/snowmobile trails of central Wisconsin. Pets welcome! Life brings with it a variety of rewards and challenges. You’re busy living it, improving it, planning it and simplifying it. There’s a lot to be done, and we want to help. 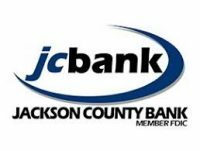 At Jackson County Bank, we know that each of our neighbors has specific needs and goals. Whether you’re a first-time home buyer, a local farmer, or an empty nester, we’ll listen and work with you to make your life a little easier. A new Locally Owned business introducing ourselves (Bubba) Frank Rowlee and Mike Sandoval as owners and operators. We are now taking clientele for spring and fall clean up, Mulch beds, planting beds, as well as any and every landscaping project. Please call or PM us to set up a free estimate. North Country Christmas Greens supplies fresh greenery for the Christmas season; traditional wreaths, garland, centerpieces and specialty wreaths. North Country Christmas Greens has been in business for over 25 years. Located in Black River Falls, WI. 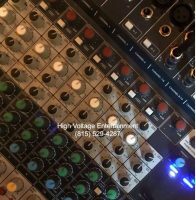 Our customers consist of various organizations including school music and Athletic Departments, churches, scout troops and sports organizations. These organizations sell our Christmas greens in order to raise funds for their various expenses and endeavors. Any organization, club or group seeking a profitable fundraiser will absolutely benefit from our program. We also provide Cemeteries with wreaths and greens and Municipalities Holiday greenery with which to decorate their community. Cranberry Cabin offers a cozy retreat with all the comforts of home. Cranberry Cabin has a bathroom with shower and 2 bedrooms. One bedroom has a full and a twin bed, the other a queen and a twin bed. The spacious kitchen has a stove, refrigerator, microwave, coffee maker, toaster, griddle and all kitchen utensils and dishes. The pantry items include sugar, flour, pancake mix, and a complimentary jar of our real maple syrup made here at the marsh. 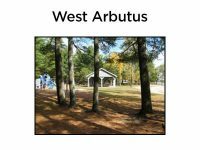 Arpin Cranberry Campground is small and private with 35 sites: 30 seasonal and 5 temporary sites available for rental year round. The 5 temporary sites are open and shady with 20 amp electrical hookups. There is a small lake with bass, northern, crappie, bullhead and bluegills. There is also a swimming beach and horseshoe pits. Firewood is available for sale year round also. Enjoy the peacefulness of a rural setting and watch the resident osprey as he swoops down to catch a fish. If you enjoy hiking, we have a hiking trail which we are always expanding to encompass our 875 acres. We also border 100s of acres of county forest land open to exploring and hunting. We provide turn key event and entertainment services, that drive revenue for your business & unique experiences for your customers. Mr. Pita serves pitas, wraps, burgers, breakfast and more. Open Monday thru Saturday from 11 AM-8 PM. Closed on Sundays. Campground is noted for being peaceful and beautiful. Long pull through sites complete with cable and wifi with your choice of locations, either shaded or free of trees. We also have secluded tent sites in the woods or stay in a one or two room basic cabin or lodge with bathrooms and TV. Pool is open from Memorial Day through mid September and jumping pillow is usable all of our open season. There is a catch and release fishing pond for the kids and free wagon rides on summer weekends. Rates are for a night, week, month or seasonal. Give us a call or visit our website for more information. Special EFX Farmhouse Salon & Spa is a natural focused salon and spa located in the beautiful town of Black River Falls. We use premium products in every service, and we pride ourselves on clean, relaxing, and affordable experiences! Welcome to Buswell Funeral Home, where the extras make the difference and separate us from the rest. Our easy to find downtown location offers a comfortable and tastefully decorated facility. 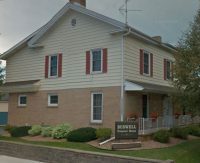 Here at Buswell Funeral Home our employees and staff stay up to date with technology and techniques offering the most of ease in planning for you or your loved ones. Our staff is completely committed to excellence in providing professional and personalized funeral service. Our website focuses on this by providing you with many links pertaining to just about all of your funeral planning needs. We now offer online condolences to families and friends of loved ones as well as obituaries posted in real time with 1 photo of your choice as part of one of the many great services that you will find here at Buswell Funeral Home. 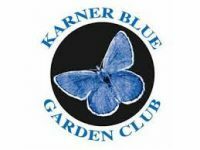 The Karner Blue Garden Club formed in 1995 with a strong desire to enhance the beauty of the Black River Falls area. Currently the club boasts 42 members, many of which are Master Gardeners. The club generously contributes hundred of hours each year to maintain 50 flower beds throughout the community along with more than 70 hanging baskets placed along Main and adjacent streets. 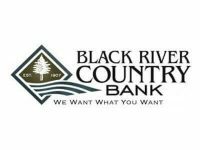 The KBGC is supported through membership, generous benefactors, Black River Falls City Recreation Department, volunteer support from the community and various local organizations. Toybox Rides is a premier re-seller and provider of classic, muscle and high-performance cars. 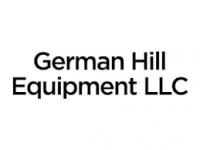 We have a wide selection of cars and trucks and are constantly updating our inventory. You are sure to find your perfect car at an unbeatable price. 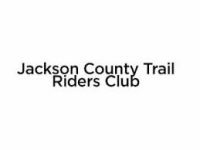 Our mission is to support and expand the Jackson County trail system for ATV and Off Road Motorcycle Riders.